This isn’t just your regular daily use serum, oh no, it’s a powerful , 21 day, skin transforming treatment that unquestionably brightens dull and lifeless skin. 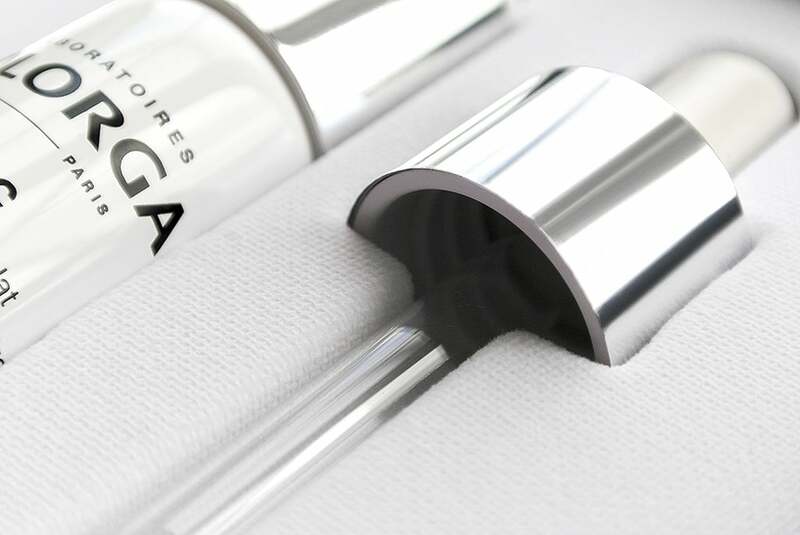 Filorga are purveyors of very high-end cosmeceuticals and this is no exception. 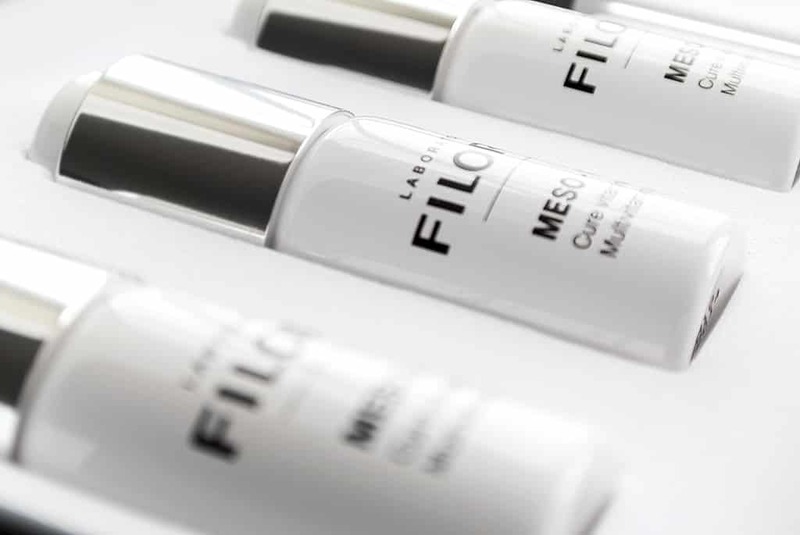 If you’re truly looking for something to boost your daily groomingn and beauty regime, then Filorga Meso C is definitely worth a look in. How does it brighten? 8% concentrated Vitamin C brightens the skin by firstly working as a chemical exfoliant, breaking down layers of surface dead skin, but also breaking down surface pigmentation. Vitamin C is also linked with collagen production to help boost the skin’s natural firmness. 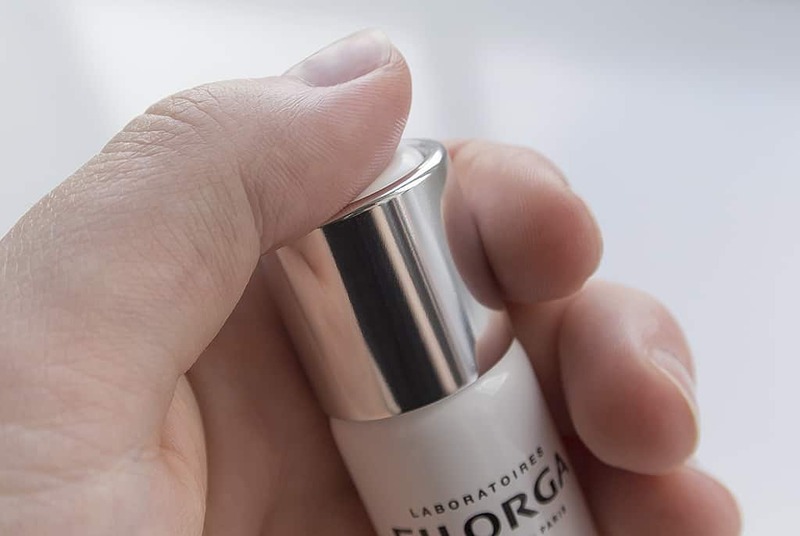 The Filorga Meso C serum then utilises ‘Chronospheres’ that encapsulate and slowly release active ingredients into the skin throughout the day; this prevents the skin being instantly and totally overwhelmed, in the same way you would take maybe four antibiotics throughout the day rather than all at once in the morning. The vitamin C concentration in Filorga Meso C also acts as a hugely powerful anti-oxidant, helping to defend the skin from free-radical, cellular damage. This is vital in keeping skin healthy and preventing later damage. In the box there’s 3 bottles of serum and 1 droplet applicator. Each bottle-lid houses a powdered concentration of vitamin C which when released through firmly pressing on the button, activates the serum. When you’ve released the powder, remove the lid, throw it away, and screw on the dropper applicator. 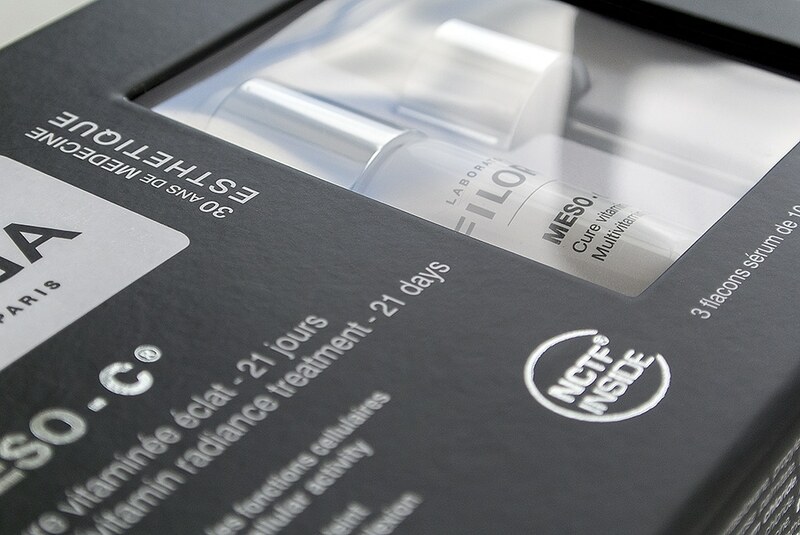 Once activated, each bottle will only last for 7 days as by then, the Vitamin C will have become inert. 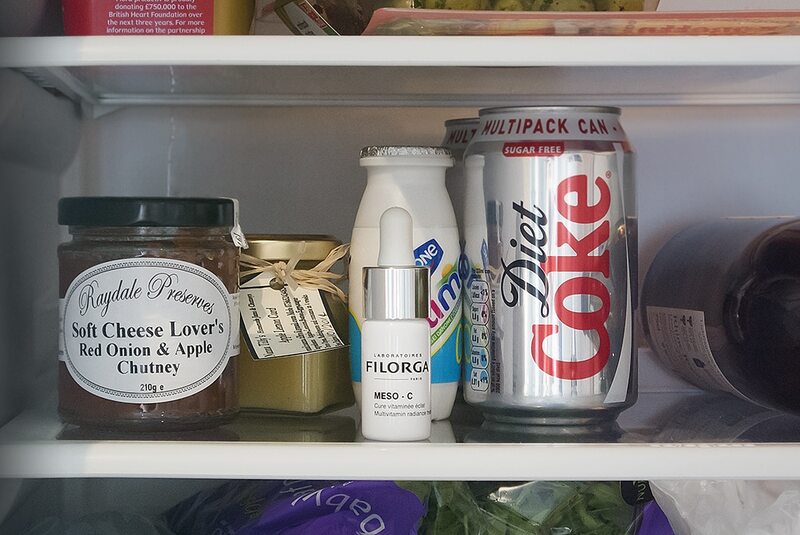 You must store this in the fridge and always give it a good shake before applying. Apply a few drops to your finger ends and gently massage into the whole face. I’d normally avoid the eye area, but with this, I’ve gently patted it around for good measure as the serum is very lightweight and shouldn’t congest the skin. After the first week, I honestly couldn’t tell any difference and almost didn’t bother, but I persevered. At the end of the second week, there was a noticeable difference in the evenness of the colour of my skin tone. It wasn’t until the end of the third week that I saw the real differences; any blotchiness in my skin, blemishes, you name it, had all disappeared and my skin looked like porcelain. The effect has lasted quite while as long as I keep up to my daily skincare regime. Make sure that throughout the use of this serum you use a high SPF every day. 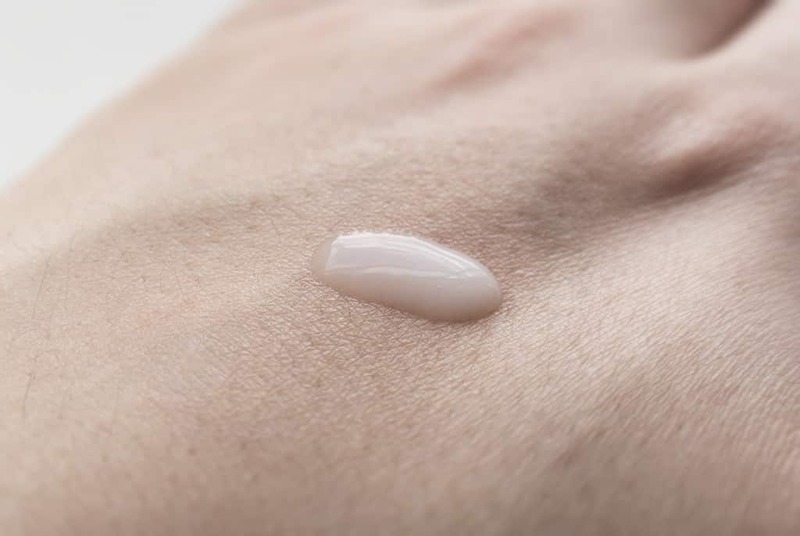 You should use SPF every day but as this is exfoliating the skin on a very powerful level, skin imevetably becomes more sensitive and will discolour more easily, totally defeating the object of you using this fabulously powerful serum. Filorga Meso C is available for £61, here at Marks & Spencer. You only need to use something like this once every 6 months and for what you get plus the results you will achieve, it’s a fantastic price. Have you used Filorga products before? If so, drop me a comment with your Filorga and skin brightening favourites. This article first appeared on MANFACE written by Thom Watson. It was published on Sunday 9th June 2013 and was last updated on Monday 3rd April 2017 at 3:36pm. It's categorised under Dark Spots / Pigmentation, Filorga, Serums & Treatments where you'll find more related content.